Learning NEXT: What about a student's WHY? What about a student's WHY? 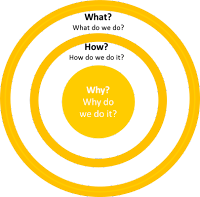 You've probably heard about Simon Sinek's books Start with Why and Find Your Why. You may also be familiar with his TED Talk; if not, check out the edited version. In this video, Sinek talks about his idea of the Golden Circle and the center of that circle is, of course, WHY. Now Sinek's idea was for organizations and leaders. One of his key lines in this video is that people don't buy what you do, they buy why you do it. In the past year or so, there have been a lot of videos, articles, and more for teachers to reconnect with their "why." It's sort of like purpose-driven teaching. WHY do you teach? If you had to articulate a vision statement for you as a classroom teacher, how would it read? Would your statement be anything like this? I am an educator because I love to use my skills and talents to help students be successful in every area of their life. Every student in my school is my kid. They have value. They have the potential for greatness, and I am dedicated to provide them the best education possible. Why do we do it? What value are we bringing? Everything I do as a teacher, I believe in helping my students identify as citizens, scholars, and individuals whose voices matter. I believe our world is better when individuals understand their value, believe in their capacity to cause change, and take action to better the world around them. I think this is important, but the teacher's WHY is only part of the equation. As teachers are preparing for a new school year, they're thinking about those critical first few days and ways to start to build rapport with their students. They are thinking about how students see them as teachers and how they can learn more about students as individuals and as learners through different activities. But what if teachers were to ask students about their WHY? What if students were given this prompt: "Everything I do as a student. . . " or "I am a student because. . . "? Sure, the responses from 1st graders might not be very deep, and you'd hope to hear something a bit more profound and insightful from a 9th grader and certainly from an 11th or 12 grader. But I have an itchy feeling about the kinds of responses we'd get from most students. I had an interesting revelatory moment late last spring about which I was very uncertain because it seemed so odd: kids don't understand WHY they are going to school. I think most students know they go to school because it's what kids do, but they don't really understand what learning is and what learning could be. They don't really understand the potential of learning. They don't have the capacity or the experience or the exposure, maybe, to dream about what they could be or do because of learning? Last year one of my big phrases was "they can't be what they can't see." I still believe that. 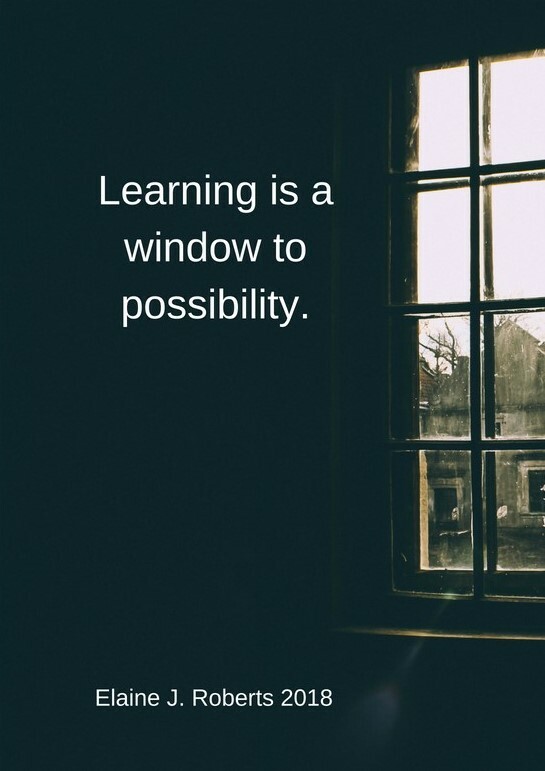 Learning is a window to possibility. If we want to help students be prepared for the world, we need to expose them to possibilities of the world. Yes, we need to be realistic about what we can do, about what they can do. At the same time, we can't underestimate their capabilities and capacities for learning. So we need to read them books and show them videos about scientists, engineers, mathematicians, inventors, writers, cartoonists, artists, and more. And we have to encourage each of them to think expansively and imaginatively about what learning is and what learning could be for them as an individual with all kinds of potential we might not yet recognize. Reading with BHH. Book. Head. Heart.